Tennis Tutor ProLite w/Oscillator - Demo | Sports Tutor Inc. 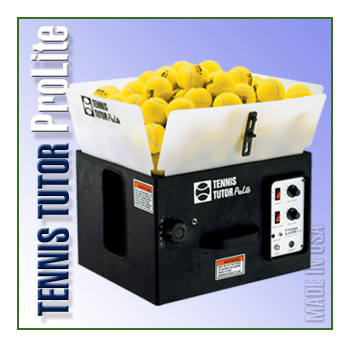 The Tennis Tutor ProLite™ is a full-featured professional ball machine, yet it stands only 12 inches tall and weighs less than 30 pounds. This model includes oscillator.